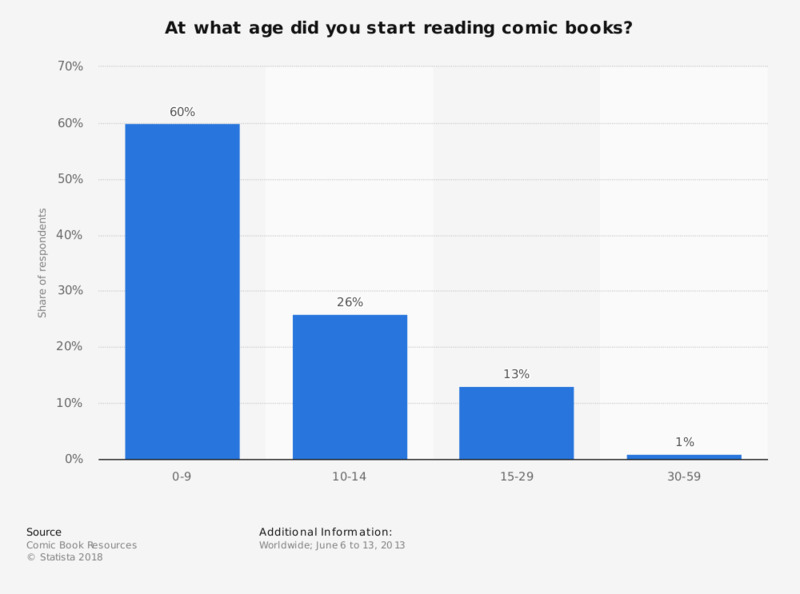 The graph presents data on the age at which comic book readers started reading comic books as of June 2013. During a survey, 60 percent of respondents stated they started reading comic books before they turned ten. In the same survey, 67 percent of respondents stated that they read more comic books than they used to and 75 percent preferred print comic books over digital editions. Some of the leading comic book publishers include Marvel Comics, DC Entertainment, and Image Comics. Do you prefer reading comic books in print or digitally?